These photos were taken a couple of months ago. There is no real reason for the delay in posting or the long pause of presence. Perhaps because this is a quiet space in a loud internet, my motivation comes in waves and I question my contribution here. 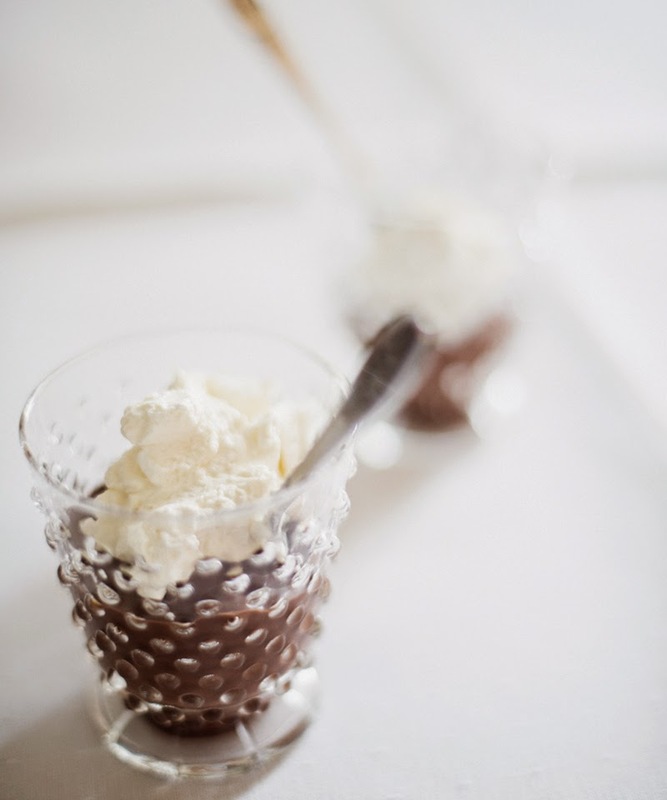 Nevertheless, I thought it was about time I share these few photos and my very loved recipe of chocolate pudding. I wanted to write up a few words on the meaning behind the name of this blog, which seemed quite fitting to go alongside this messy dessert, but the words have yet to be typed out. And so ... for no good reason at all, here is the chocolate pudding portion of this post. Because you don't really need a good reason for chocolate pudding, right? It's comfort in a spoon that is most certainly not reserved as a special occasion treat. I very recently made this pudding for Easter - to fill a chocolate cream pie, which truly made a complete and balanced dessert. 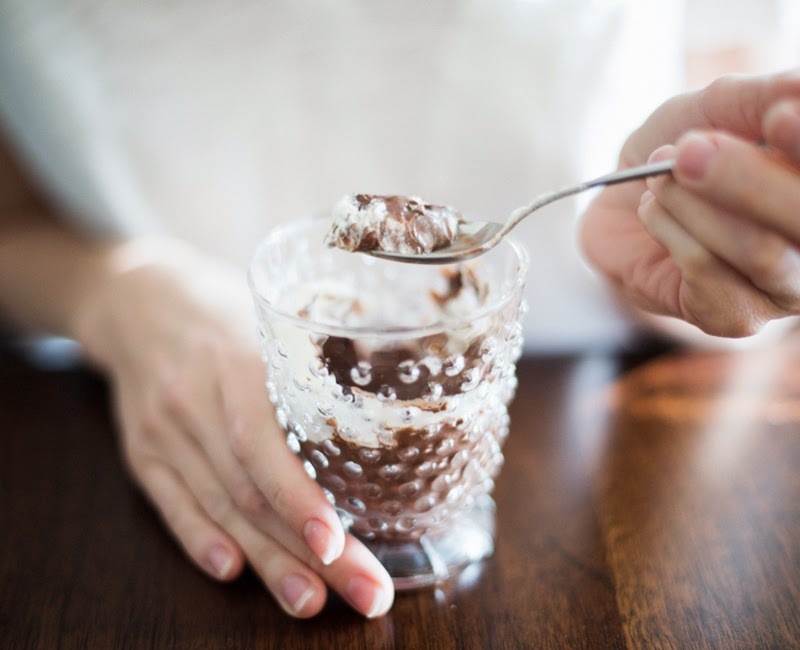 This chocolate pudding is rich, creamy and very chocolatey, and not overtly sweet and obviously NEEDS to be topped with whipped cream. This recipe has been slightly altered over the years, but comes from a page I tore out of Gourmet Magazine many years ago. In a heavy-bottom medium-sized saucepan, whisk together the cornstarch, sugar, cocoa powder and pinch of salt. While whisking, slowly pour in the milk. Over medium heat, bring the mixture to a simmer while stirring constantly (I like to switch to a wooden spoon or heat proof spatula), until thickened. It will take about 3-4 minutes, after the pudding has come to a simmer. Remove the pan from the heat and add the chopped chocolate and butter. Transfer the pudding into individual cups or a serving bowl. Cover the top surface of the pudding with plastic wrap to prevent a skin from forming. (If you care. Personally I do not.) Chill in the refrigerator for at least 1 hour before serving. 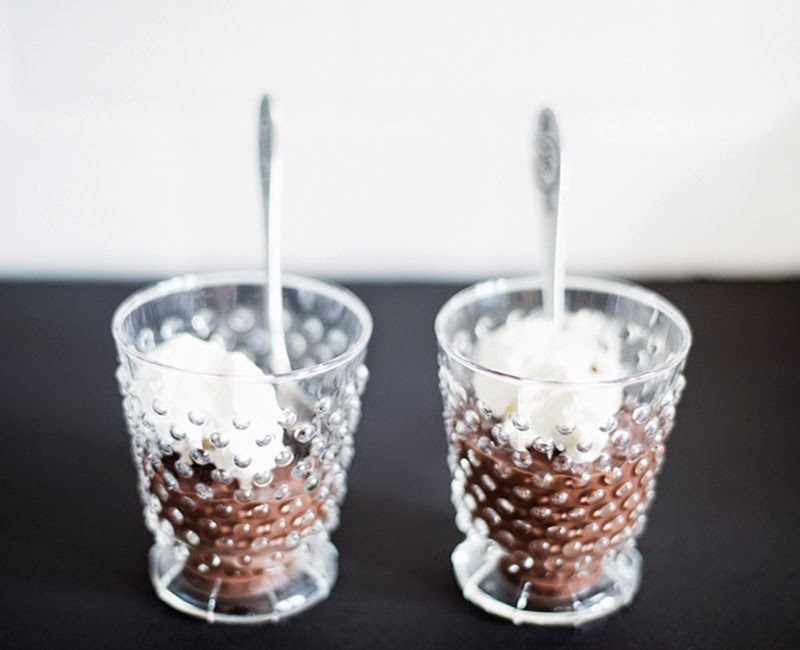 When ready to serve, top each pudding with a dollop (or two) of whipped cream and maybe even top with fresh chocolate shavings. The pudding (without the whipped cream) will last covered in the refrigerator for up to 3 days.